Eight of Ryan Eberly's Clarinda A's headed to the collegiate league all-star game in 2018, according to KMA radio. Beyond the game, the Clarinda manager pointed out an extra opportunity some of the players would have to impress, according to KMA. "It's a good event and a long day," Eberly told the station. "Beforehand, 10 of the kids will go through a showcase where they will go to their positions and field ground balls and throw. Outfielders will do the same. They will take some hits in the cage and hopefully scouts will see some things they like." Years earlier, Eberly impressed enough to get signed by a scout to play pro ball. His pro career, however, proved brief, all of 17 games played in rookie ball. 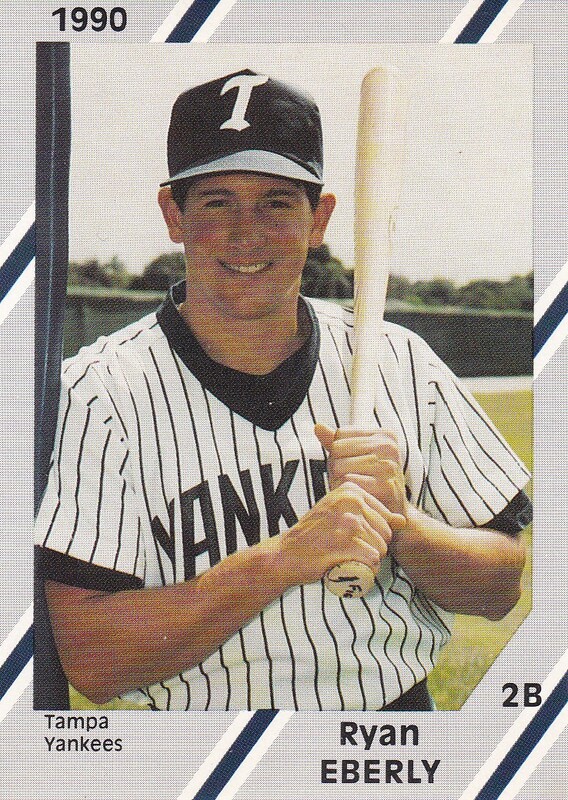 Eberly's pro career began and ended in 1990, signed by the Yankees as a free agent out of his native Clarinda, Iowa. Before he managed Clarinda, he played for the team. In a June 1988 game, Eberly reached on an error and came around to score on another. 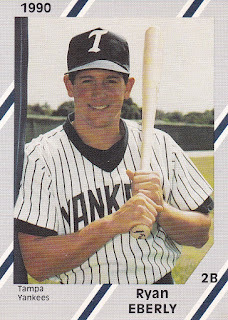 With the Yankees, Eberly played in the rookie Gulf Coast League. The infielder went 7 for 39 in his 17 games for a .179 average. He picked up one double and stole one base. His numbers that year proved the extent of his career. Eberly soon returned home to Clarinda. in 2018, he served as both manager and general manager for the Clarinda A's. He recalled to The Clarinda Herald in August 2018 attending the National Baseball Congress in Wichita both as a bat boy and player as well as a manager. He spoke on the occasion of Wichita getting a new stadium. "For me, walking in and out of there for the last time had a tremendous wow factor," Eberly told The Herald.